Reenact the classic opening sequence to Murder She Wrote with your very own vintage typewriter. Last weekend my friend and I went thrifting along the Sussex coast and I picked up three lovely vintage typewriters. A 1950’s Halda made in Sweden, a 1960’s Petite made in England and a 1980’s Blue Fox made in Japan. Brush aside the digital age today and fall in love with letter writing the old fashioned way, create that zine you’ve always talked about or simply have fun writing your weekly shopping list. Maybe you might just write a masterpiece on it like these famous authors did on their typewriters. 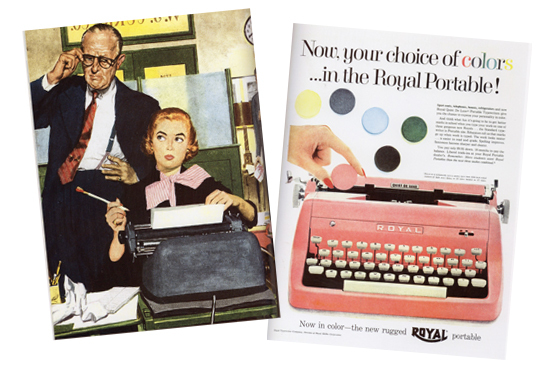 Tappety Tap Tappety Tap – fab research on the typewriters.